The Engineering Draughting Co was started in February 2007 in response to the need for skilled engineering draughtsmen who could respond quickly to one off or short term needs within the water, rail and food processing industries. The greatest strength of The Engineering Draughting Co is that their draughtsmen have learnt how to draw to sound engineering principles on the board before they learnt how to use CAD systems. 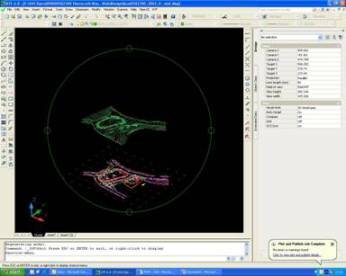 Engineering draughting is now seen to be a dying art as CAD systems take over, however, CAD systems themselves do not obviate the need for the sound engineering knowledge on the part of the draughtsman so that they can use those principles to produce drawings. In other words, knowing how to use AutoCAD does not in itself make a draughtsman. 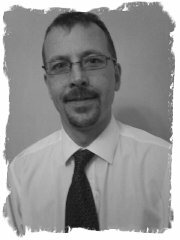 The managing director, Kevin Allmond, is a time served engineering draughtsman. He studied for his OND in Mechanical Engineering and then started on the drawing board as an apprentice draughtsman some 20 years ago and has been working ever since producing technical drawings using engineering principles for a variety of disciplines from the food preparation industries to the rail industry and water treatment sector. He is a member of the Institute of Engineering Designers and is currently going through his registration with the Engineering Council UK as an Incorporated Engineer. We can take a holistic view of client requirements, identifying potential risks early, thus allowing them to be quickly overcome or eliminated. We're also able to provide a single point of contact for all your consultancy requirements, which works wonders in supply chain simplification. We recognise the importance of being client orientated. We take a proactive approach to understanding the needs of individual clients. Once a clear picture has been established, we then encourage our project teams to take ownership of these issues, treating client problems as though they were our own. This results in value engineering solutions for the client to provide significant financial benefits. All of these aspirations and commitments are tied together by our absolute adherence to a stringent set of ethics. As creators of sustainable solutions, The Engineering Draughting Co takes seriously its responsibilities towards the welfare of individual citizens, the community at large and the environment. The Engineering Draughting Co always strives to be the best local service provider for draughting services in the water, rail and food processing sectors. Our staff create value for our clients and shareholders, and help to build sustainable living and working environments.